According to the Bureau of Labor Statistics, there are nearly 3 million nonfatal on-the-job injuries in the U.S. annually. If you have been hurt at work, you need a St. Augustine workers’ compensation lawyers on your side right away. Without an experienced lawyer by your side, you stand to miss out on critical benefits. Unfortunately, many workers aren’t aware of their rights. After working for a company for years or even decades, they are denied even basic compensation for their injuries the second they’re injured. The vast majority of businesses in Florida are required by law to provide their workers with workers’ compensation insurance coverage. The problem is that the insurance companies who pay out benefits are usually more concerned about their bottom line than taking care of workers. 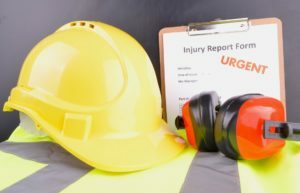 To keep their costs low, some workers’ compensation insurance carriers deliberately delay the processing of claims, or simply ignore claims altogether. Their goal is make injured workers so frustrated they eventually give up or accept what little compensation is offered. Our St. Augustine workers’ compensation attorneys can help you get the benefits you need to pay your bills and cover your costs while your injuries heal. In some cases, a work-related injury is so severe it prevents the injured worker from making a full recovery. Fortunately, there are permanent benefits available for these workers. At Hardesty, Tyde, Green & Ashton, P.A., we are aggressive workers’ compensation attorney committed to helping the hard-working men and women who support the St. Augustine economy. When you’re hurt at work, you shouldn’t have to wait for compensation. Our attorneys work quickly to ensure you get the benefits you need right away. Call our St. Augustine workers’ compensation lawyers today at 904-834-9214 to schedule a free consultation about your workers’ compensation matter.